Quetzaltenango city enjoys an unrivalled position on a high plateau surrounded by mountains and the conical peaks of ten volcanoes, some of which are still active. 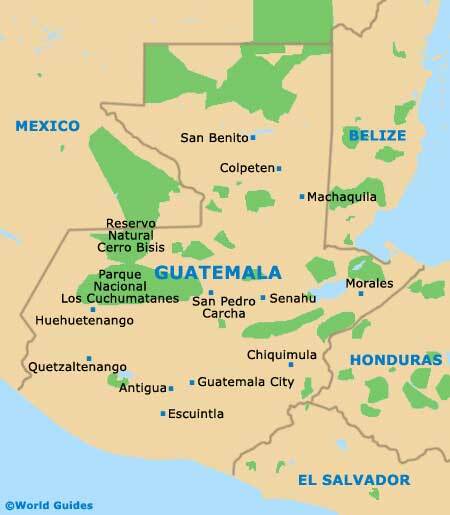 Located in the Western Highlands of Guatemala, for most of its history the city has been difficult to reach due to the surrounding topography. With the coming of prosperity in the late 19th century due to coffee plantations, access became easier. The surrounding hill slopes are home to many native Mayan villages. 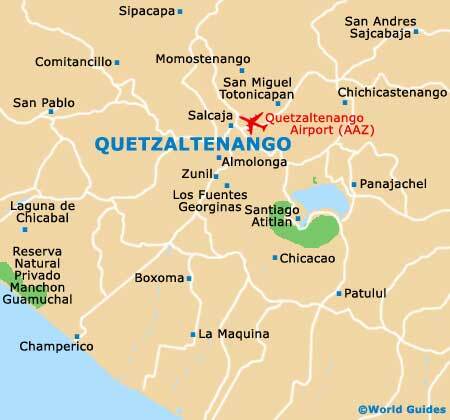 Set on the Pacific side of the country, the Quetzaltenango province has an extensive border with Mexico and is arguably the most beautiful region in Guatemala. The north of the province holds the massive peaks of the Cuchumatanes range and the famous and isolated Ixil Triangle, inhabited by Mayans who continue to speak the Ixil language, a direct linguistic descendent of ancient Mayan. The city of Quetzaltenango, divided into a number of zones, is a place of contrast. The Old Quarter and its remnants of prosperous colonial times and laid-back atmosphere is set in the centre of the ever-expanding new city, with its industry and commercial districts. The Old Quarter is small enough to navigate on foot and is home to most of the accommodation, sites of interest, restaurants, craft shops, markets and nightlife. The heart of this area, known as Xela, is the long narrow Parque Centro America, surrounded by the best of the colonial architectural gems and the spectacular cathedral frontage. On the edges of the city are two shopping malls and new housing developments. Tourist maps showing the important sites can be found at the Inguat tourism outlet on the southern side of the Parque Centro America.